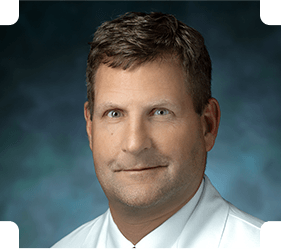 John J. Klimkiewicz MD is an Orthopedic Surgeon specializing in Sports Medicine and Joint Replacements. He concentrates in all aspects of knee and shoulder surgery. An emphasis on joint preservation as it pertains to the knee is one of his main interests’. After completing his Orthopaedic Residency at the University of Pennsylvania, he went on to complete a shoulder and Sports Medicine Fellowship at the University of Pittsburgh, in 1998. Dr Klimkiewicz is presently the head team Physician of the Georgetown University Hoyas, and Washington Capitals Hockey Club. He serves in a similar role at St John College High School in Washington, DC. He has served as an assistant team physician for the former Washington Freedom Women’s Soccer Club. Dr Klimkiewicz is Board Certified in Sports Medicine as well as Orthopedic Surgery. He has served as an elected Delegate for Washington DC, within the American Society for Sports Medicine. He has also served as an editor for the Journal of Shoulder and Elbow Surgery. He is married and has two children. He enjoys golf and family activities in his spare time.